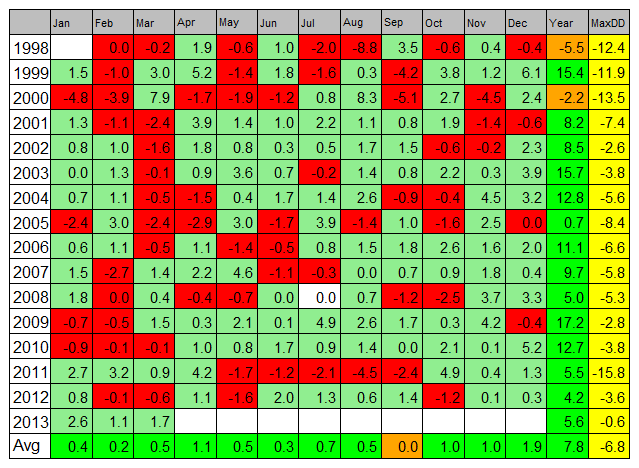 I did a post last October (here) looking at varying allocation between stocks/bonds and at the end I hinted towards a tactical overly between the two asset classes. Six months later, I finally found a decent overlay I feel may hold value. The numerator sigma represents the variance of the ith eigenvector, while the denominator one equals the variance of the jth asset. In the paper, n = 1/5 the total number of assets (N). 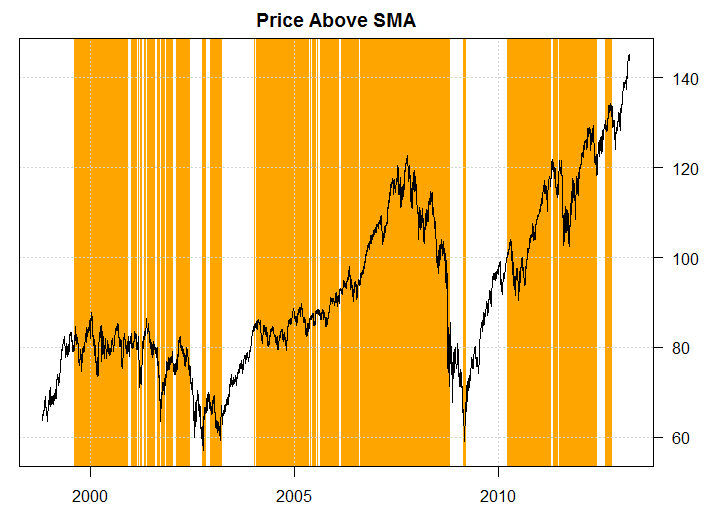 The interpretation is simple, the higher the ratio, the more “fragile” the market state. The intuition behind this ratio is that when its high, it implies that risk is very concentrated. On the other hand, when it is low, risk is dispersed and spread out. Think weak and strong. 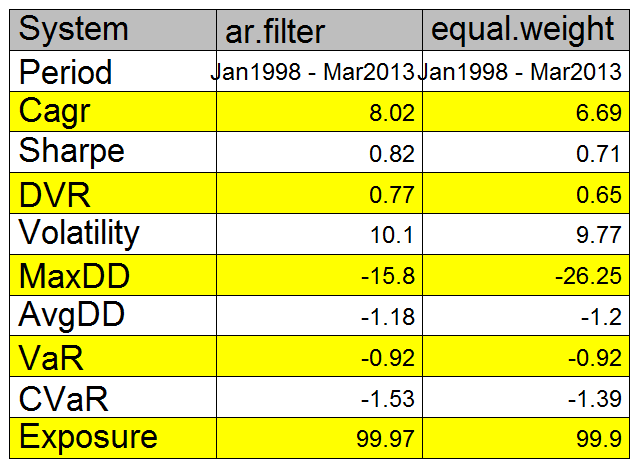 Following is the raw AR through time of the DJ 30 Components. As you can see, the ratio spikes during the tech bubble and the recent financial crisis. How would it look like when used as a filter? 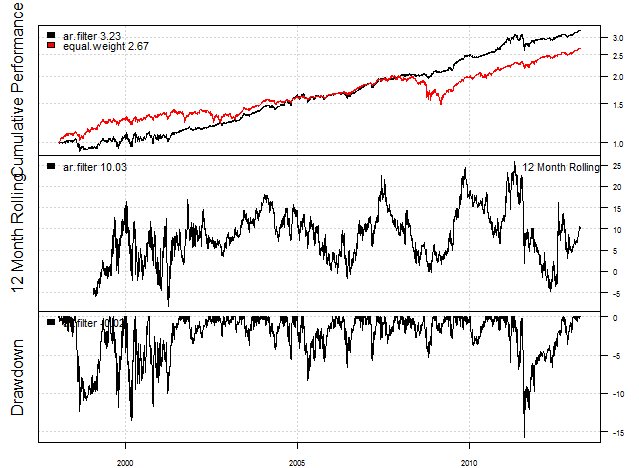 Below are two pictures comparing the signals generated by 200 day sma and standardized AR. Note: There is survivorship bias. I used the current day DJ30. 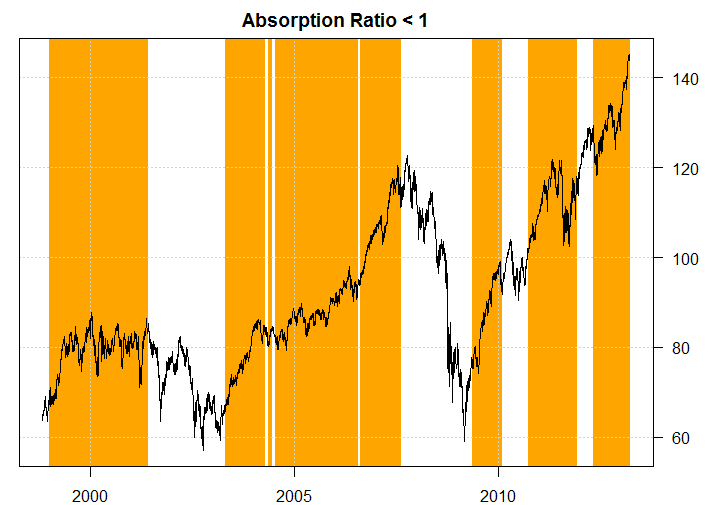 Enjoy the blog, and am interested in the Absorption ratio. its calculation in an Excel spreadsheet. 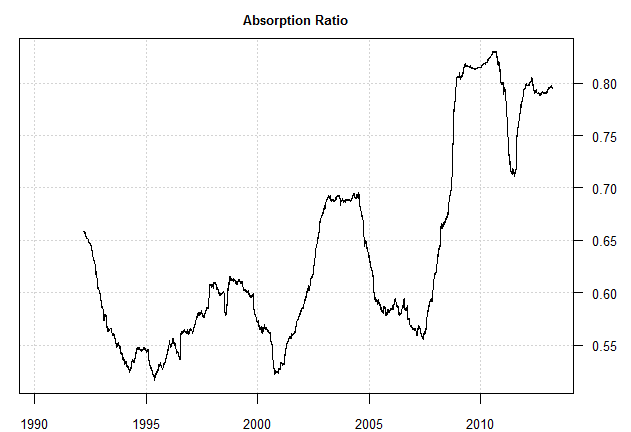 Thanks for sharing this, similar to Steve I also have request for an example of Absorption ratio calculation in spreadsheet, if possible. Thanks. Is there any chance that there is some look ahead bias here ? i.,e does the princomp calculation use the entire dataset at a point in time ? I havent looked into the princomp, but just thought I will bring it up. Look ahead bias shouldn’t be a problem as I looped through each day as oppose to doing PCA on the entire batch of return data. I loved it, in fact it is one of the best papers I have read for a long time! Because of all the details given in the paper (even matlab code!) it should be doable… and it will be well worth the effort!